I'm finally back to posting my book reviews and suggestions! Wow! I was pleasantly surprised! I read the premise and thought, "This isn't the kind of book I usually like." I thought it would be sappy, and mushy, and romantic, and in it's own way it was romantic, but not the way I thought. 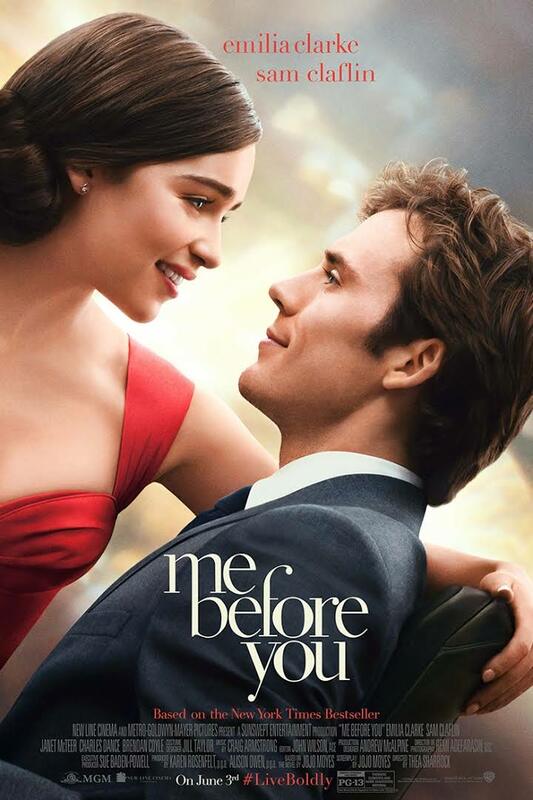 Me Before You - the title - I believe that it refers to Lou (Louisa Clark). To me it means "The Me I Was Before I Met You." A subtitle could be "How Will Traynor Changed my Life." Lou is an underachiever just living day to day, still at home with her parents and grandfather, as well as her super-smart, talented sister who goofed up and got pregnant and now has a little boy. Lou works at the Pub down the street. She has a boyfriend who is an avid runner who really doesn't pay much attention to her. She has no aspirations to leave their small, comfortable, English village, and lacks the self confidence to see herself in college. When she loses her job at the Pub, she eventually gets an interview with the Traynors who are looking for a helper for their son. Will, once a powerful businessman, world traveler, and a reckless adventurer, is a quadriplegic now confined to a wheelchair due to a senseless accident. He was run over while walking to his car during a heavy downpour. Lou has no special skills working with a medically challenged patient, but they do have a full-time person to meet his medical needs. She is hired to do a little cleaning, help him eat and drink, and keep him company. At first, Will is mean, bossy, condescending, and grumpy. Over time, they begin to soften toward each other. Lou finds out that Will had already tried to kill himself and has plans to seek an assisted suicide in six months. During that time, Lou tries her best to show Will that his life is worth living. The way that Jojo Moyes develops the character's personalities so well makes them feel like friends. I believe that is the reason the reader experiences ups and downs emotionally as the plot moves forward. And every scene contributes to the plot. There is nothing unnecessary. This was the kind of book that was difficult to put down. I do not want to give any more away. This is a book you should read! If you've already seen the movie, read it anyway. I'm sure the book is better, but I do plan to see the movie now.